Breathing aromatic mountain forest air protects your body from diseases including cancer. Join Dr. Reese Halter for an exclusive and intensive 2-day workshop series on Nature and its extraordinary wellness science. Do you have cancer? Or suffer from stress, anxiety, asthma, high blood pressure, high cholesterol, erectile disfunction, depression, mood disorders or difficulty in remembering things? Placing your bare feet on earth revitalizes your life force whilst boosting your energy. Do you experience sleeping difficulties? Are you tired of taking medications with lousy side-effects? Have your children been diagnosed with ADHD? It's time to protect your family's health. This informative workshop series will help you begin the healing process. Nature's low fat, whole food, 100% plant-based, seedy, nutty, salubrious organic bounty! Peaches help fight cancer, obesity, asthma, cholesterol, potassium deficiency, anti-aging & ensure healthy eye sight. Apples are rich in antioxidants, flavonoids & dietary fiber. 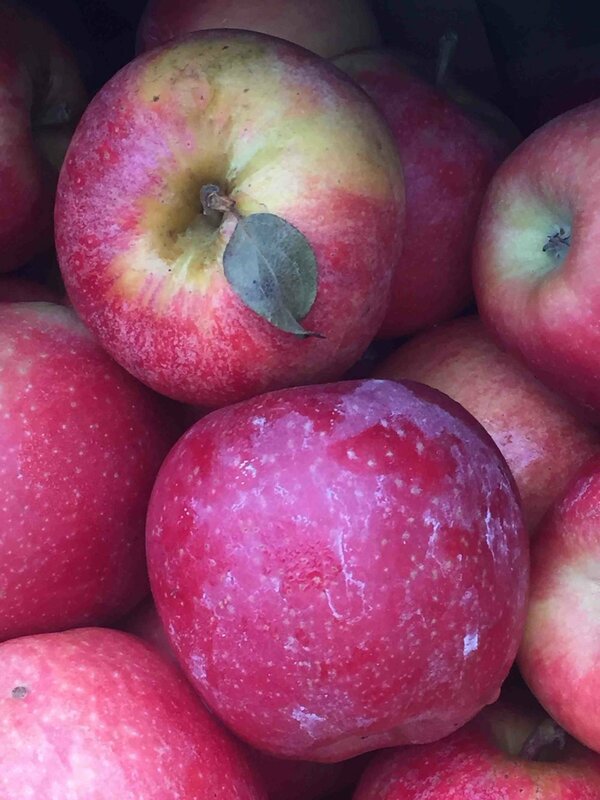 The plant nutrients in apples help prevent the onset of cancer, high blood pressure, diabetes and heart disease. "Eat an apple on going to bed, and you'll keep the doctor from earning his bread," 1860s Welsh proverb. Translated in 1922, "An apple a day keeps the doctor away." A unique silhouette: California sugar pines are the tallest of all 115 or so pines. They stretch more than 275 feet towards the heavens. These beauties were named after its sweet resin, the sugar pinitol, used by the Indigenous peoples as a strong laxative. It takes two years and much nitrogen to grow these gigantic sugar pine cones, the longest of all pines. Its large seeds are a prized food source for many ground dwelling mammals. Twenty-four-inch long cones are not uncommon! Cauliflower is a powerful vegetable that strengthens intestinal defences. It lowers the risk of inflammatory bowel diseases like ulcerative colitis and leaky gut syndrome. Cauliflower is also high in fiber, B9 and vitamin C. In order to access the enzyme sulforaphane: chop the cauliflower and wait 45 minutes, enough time for it to produce that enzyme, which will then be heat-stable. And don't forget to drink your cooled, nutrient-rich cauliflower boiled water! Cherries are brimming with antioxidants, which help to slow aging. Sour cherries have more antioxidants than blueberries. The dark plant pigments, or, anthocyanins, in cherries also reduce pain associated with inflammation. Cherries are delicious for breakfast, lunch or dinner. Hooray for healthy honeybees. They provide us with our food, clothes, honey, beeswax and potent medicines!